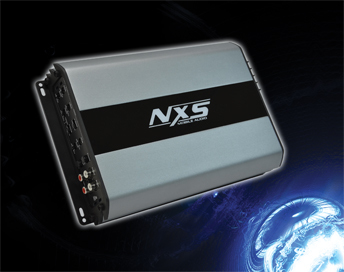 Introducing the all new NXR amplifier series.... setting a new standard in high power full featured amplifiers. Compact in size and yet big in power. Engineered and designed with the latest state-of-the-art technology delivering uncompromising performance and reliability. Click here to learn more. Bring your factory stereo system to life with the new NXDW103F powered 10" subwoofer enclosure equipped with a revolutionary high efficiency Patent Pending amplifier design. See the NXS products in action. From award winning OEM upgrades to full SPL systems, NXS products offer power and control to get the job done. Check out the NXDU8.5 Powered Enclosure. A perfect upgrade for any sound system featuring 150W 8" Woofer plus a built-in 4 x 30W amplifier. ©2018 NXS Mobile Audio Inc.